DiscountPaint.net :: MANUFACTURERS :: ABSOLUTE COATINGS :: ABSOLUTE COATINGS 13101 LAST N LAST ULTRA CLEAR WATERBORNE WOOD FINISH SATIN SIZE:1 GALLON. 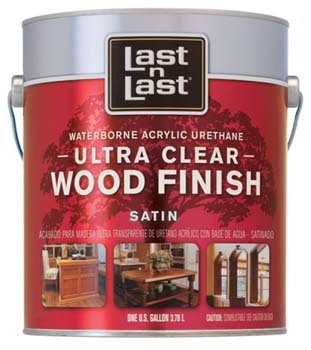 ABSOLUTE COATINGS 13101 LAST N LAST ULTRA CLEAR WATERBORNE WOOD FINISH SATIN SIZE:1 GALLON. MODERN MASTERS METALLIC PAINT 24432 ME-244 STEEL GRAY NT SIZE:QUART. WOOSTER 1123 AMBER FONG VARNISH BRUSH BROWN CHINA BRISTLE SIZE:4" PACK:6 PCS. NORTON 01486 9" X 11" 280A GARNET PAPER PACK:100 PCS. OLD MASTERS 51004 TINT BASE PERFECT MATCH WIPING STAIN SIZE:QUART. MINWAX 42230 COLONIAL MAPLE 223 STAIN SIZE:PINT. VARATHANE 223253 GOLDEN OAK WOOD PUTTY SIZE:3.75 OZ.PACK:6 PCS.